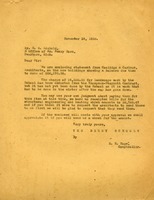 Letter acknowledges receipt of a check of $4,000.00 representing the balance of a bill rendered by Coolidge & Carlson. 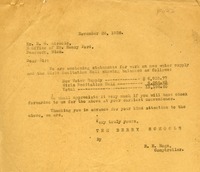 Mr. Liebold encloses a $13,198.60 check to The Berry Schools in payment for the new water supply $6,933.77 and for the Girls' Recitation Hall $6,264.83. 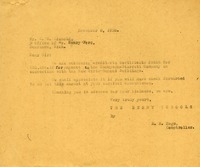 Mr. Liebold asks Mr. Hoge to acknowledge receipt. 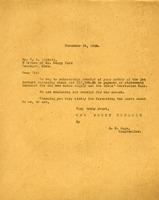 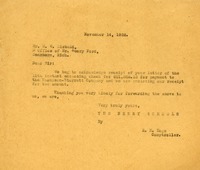 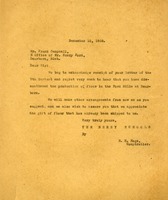 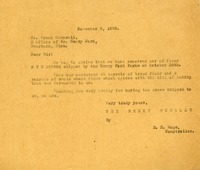 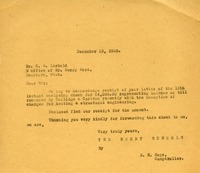 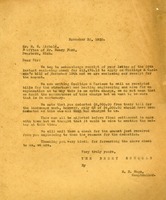 A letter to Henry Ford from E. H. Hoge acknowledging a donation that Ford sent to the schools.